It’s in these cold, winter months that I sometimes look back into the mist of time to when I was first getting into Games Workshop’s Warhammer Fantasy Battle. I recall when I first looked over the artwork of my beloved Skaven Army Book (which I still have), I noticed that they had always been pictured fighting one particular race. Being a subterranean race of ratmen they had a more common foe; one that lived under the mountains of the Old World: the Dwarves. These allies to Mankind were always portrayed in the classic Tolkien way. They were heavily armoured, bearded, stout warriors who loved to drink flagons of ale just as much as crushing skulls with a hammer or ax. The Dwarves were an empire on the decline fighting off not only skaven, but also orcs, goblins, ogres, the forces of Chaos, and even had a few wars with the Elves. Dwarves were also known for holding umbrage, and even their High Kings would have a massive tome called the “Book of Grudges”. If you did anything un-dwarven, you were put in the Book of Grudges. Defeat them in battle, you’re in the Book. Besmirch their honour, you’re in the book. Make fun of their women (who may or may not have had beards? ), you’re in the Book. The dwarves were also master craftsmen, making wonderous weapons and warmachines. Everything from fine sword to even helicopters could be made by the dwarves, and they even had their own form of magic: Rune Magic. They could craft runes into a machine or weapon and empower them with great magic. This form of sorcery was the only type of magic they could use, for if they tried to cast spells, a dwarf would slowly turn to stone. When you look at the new Age of Sigmar dwarves, or as they are now called “Duardin”, they could not be any further from their ancestors. Now, at the moment of typing this article, this is the first of the new look “dwarves” models out, and while Games Workshop still sells the miniatures from their Warhammer Fantasy Battle line, these new dwarf models are the first view of the new Duardin culture in the new fantasy setting. That being said, the newest Duardin models are a faction called the Fyreslayers. Fyreslayers are a faction within the Duardin (from what I understand, the lore is a bit fuzzy) who follow the ways of their patron god Grimnir. In Age of Sigmar, gods like Grimnir and Sigmar do/did walk the mortal planes. Grimnir, wanting to prove his worth to Sigmar who freed him from imprisonment, went to slay the massive fire lizard, Vulcatrix. The Duardin war god and the Mother of Salamanders (the fire lizards) battled in the way epic gods and monsters do, with Grimnir landing the deathblow on the monstrosity. As she died, out of spite Vulcatrix exploded, destroying Grimnir’s form and scattering both their essences across the mortal realms, forever entwined. To the Fyreslayers, a religious sect who follow the ways of their grim patron, this essence has a physical manifestation: that of ur-gold. 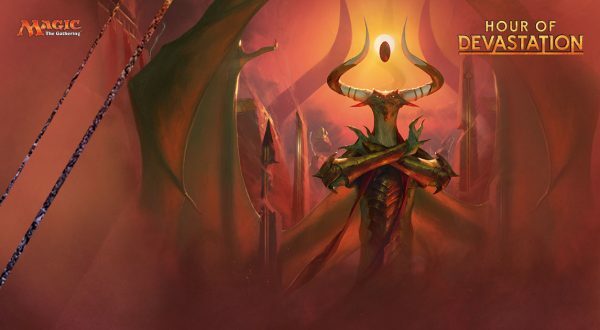 To the Fyreslayers, its purpose is to regain as much of the ur-gold as possible for maybe once they have collected enough, their god will return and lead them to glory. The Fyreslayers sound much like their pre-Age of Sigmar dwarven brethren, the Slayers. The Slayers were lightly clad (most had at least pants) warriors, who felt their honour was slighted, be it they did not die in battle or held a grudge. They would take the Slayer’s Oath, in which they would make a pledge to Grimnir to go out of dwarven society, shave and dye their hair into fiery red mohawks, and try to in die battle to the largest, nastiest monsters in the Old World. The Fyreslayers too are frenzied warriors who see both their forges and the battlefields as places of worship to Grimnir. Unlike the Slayers, the Fyreslayer’s oaths are based around getting ur-gold, and thus have an almost mercenary approach. 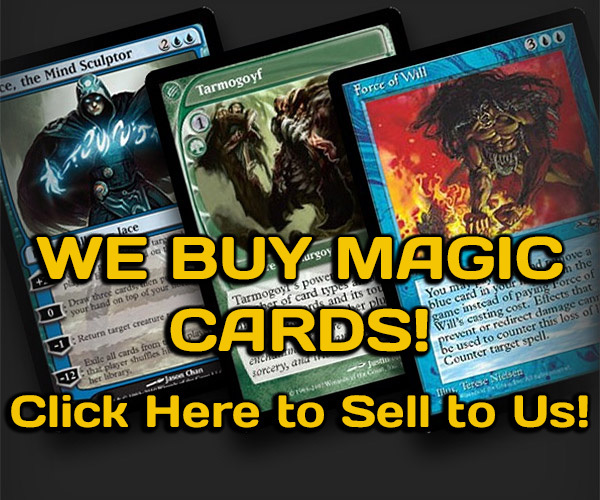 The Fyreslayers will work for anyone, as long as they pay large amounts of ur-gold. 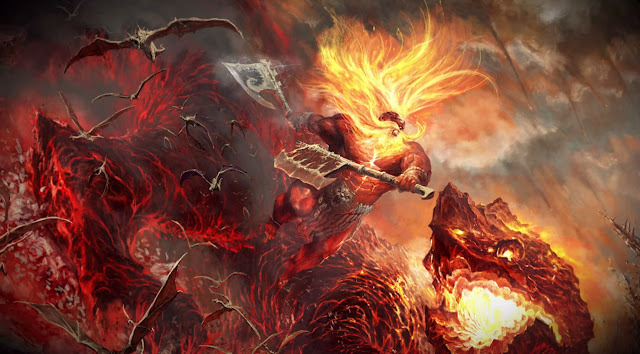 While they are usually allies to Sigmar and his Stormcast Eternals, some groups of Fyreslayers have worked for the undead and even the forces of Chaos. The one thing is, if you slight a Fyreslayer and do not pay your agreed on terms, they have been known to turn their axes on you, or abandon you to your enemies they once protected you from. 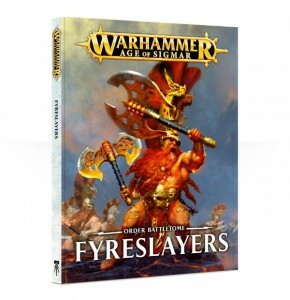 Much like many of the newer forces of the Age of Sigmar line, there are not too many releases for the Fyreslayers, which makes it perfect for newer players. The models have a unique look to them, a sort of savage strength not truly seen in many of the “good guys” of the Games Workshop games. It feels like a designer said, “you know what would have made 300 better, if the Spartans were dwarves, riding huge freaking lizards!” I mean, I would honestly watch that movie. Instead of the mohawks of the slayers, they have an over the top quasi-hoplite helmet, and instead of pants, it’s just loincloth and very long beards. If you do not like painting flesh models, this line might not be your mug of ale. Also, on the miniatures are runes. The runes of ur-gold have been hammered into their skin by the lodges’ Auric Runesmiths. These runes give the Fyreslayers more power, as they feel like they are closer to being connected to their god. The models that I have worked on, but have not painted as of yet, have been enjoyable to put together. I have built, at the moment, a warscroll’s worth of Vulkite Berzerkers, Hearthguard Berzerkers and an Auric Runemaster, and I have just picked up the massive dragon-like Magmadroth. The one model that so far was a bit of a chore to put together was the Auric Runemaster, just because you have place the arm holding his staff in an odd way when gluing it, so be warned. In game play, the Fyreslayers have some pretty dwarven, I mean Duardin, characteristics. They have high bravery, (the lowest being 7) which is going to be very important in your battleshock phases. Chances are your warriors will not flee off the field, until their debt is paid. 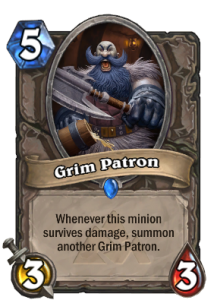 This stubbornness is also shown in their attacks, with hero models such as the Grimwrath Berzeker and the Battlesmith. With the Grimwrath Berzerker, when he hass taken 6 wounds, his rule of Dead, But Not Defeated kicks in. The player rolls a D6, and if he/she rolls a 2 or higher, the model is not removed till the end of the phase, meaning he can still stand there dealing out ax blows until he finally falls to the ground. The Battlesmith’s None Shall Defile this Icon rule, states that when he is slain, any other Fyreslayers within five inches of the fallen Runesmith may make an oath. They have to stay within five inches, but they will be able to re-roll for hits and wounds. 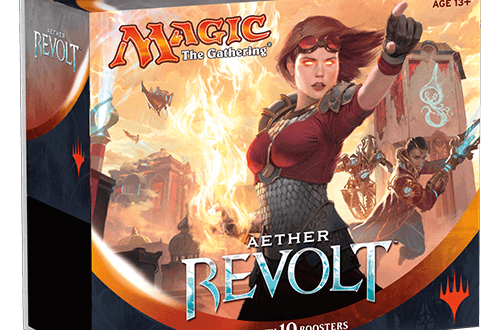 The one thing that the Fyreslayes may lack is movement. They are not fast. To help their movement, the Auric Runesmith hero ability Magmic Tunnelling can allow one unit of Fyreslayers to go underground and then pop out from the battlefield 9 inches away from a selected enemy during any movement phase. Also, most Fyreslayers are equipped with throwing axes that can hit their enemies from 8 inches away and units like the Auric Hearthguard have a “gun” called the magmapikes that can hit at 15 inches. Things like these help with the shortcoming (no pun intended) of the gold hungry Duardin. With that all being said and done, I really can’t wait to give the newest incarnations of Games Workshop’s stout warriors a try, be them called dwarves or Duardin. So if you’re ever up for a game of Age of Sigmar, give me a post here. Much like my new warband, I am always up for a challenge, especially if the gold is good.